So many things happening over the past week. From the time I began my career, July has always been a significant month– new job, major life changes. …but back to the idea. I liked it; but wasn’t it too short a notice to expect people to respond? And when did that little hurdle ever stop me? Okay, lesson learned—as in—plan these things ahead. But I really did not want to tag/hound/remind people. I am just grateful for the kind words that come without asking. So, without further ado, let me showcase the responses I received. Please click the names of these fabulous people and visit their blogs. You’ll love them. Here’s my favourite post. If there’s one thing I need in my life is a reminder to slow down and enjoy the moment. I often find myself running from one task to the other, stressing about things that I don’t really need to. Loved the pace of this piece. It was so calming. It would be next to impossible to comment on which post I appreciated the most and why. As long as I have followed you, I have enjoyed everything you have written — from your gratitude posts to wisdom. Congratulations on blogging for 15 years. You have a beautiful page. Hi Vidya, loved your quirky quotes to make you smile post. I think this might be one of my favourite go to posts. I love the twist at the end of each quote. Wisdom and humour what more could you ask for. All the best for 15 years of blogging. Congratulations! 15 years is HUGE!! Simply in awe of your journey! Hi Vidya! Congratulations on your blog’s 15th birthday! I know I’m a little late to the party, but if you are still accepting, here is one of my favorite posts from your blog. It was of course, a difficult task choose just one. But this post I read not so long ago made an impression in my heart. I loved this simple beautiful story which explains with no fuss on the importance of helping each other. May your blog see and collect many many more smiles and inspire minds day after day! This was and is my favourite post from your blog. Always and always. Happy 15th blog anniversary to you. This my favorite. It blends something we all love – cute dog pictures – with very common sense valuable wisdom to be kinder to ourselves.That’s a win/win! I liked this one because I personally find nature so soothing and feel sad that more and more people, and children especially, are more and more disconnected from nature. 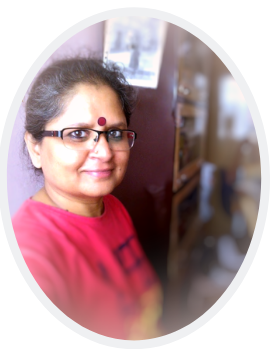 Vidya Sury’s articles are like sunshine on a cloudy day. She is inspiring to the entrepreneurial mom who wants to have a life, shines a light on everyday people showing us how special each and every one of us is, and every word she writes is like advice from a loving friend. 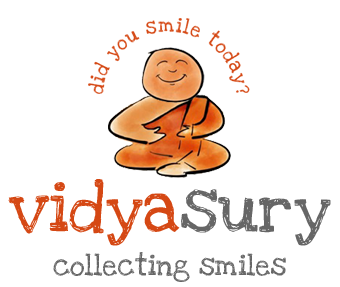 #FF @vidyasury , if you don't already, that is! Wit, warmth and wisdom are what her writing is made of. I smile to think back how, exactly 15 years ago, on 8 July 2008, I wrote my first post on this blog with absolutely zero idea of what I was doing. Over the years, I became more focused. As an activity, blogging picked up. I joined blogging networks, simply because I could, little realizing the impact they would have on my blogging journey. I met fabulous people who became friends from across the globe. Thanks to blogging, I grew both professionally and as a person. And the best part is, I learn something new every single day. My gratitude goes out to each one of you reading my words. Thank you for touching my life, my heart. As I count 15 years blogging, I know I’ve got (S)miles to go before I sleep. you are my super sensational sage soul sister. i don’t know what i would have done without your advice (and brain) these past 8 years. Love you to pieces. Vidya, hearty congrats! 15 years is so amazing. You are a source of inspiration for everyone. Quality writing that soothes and always leaves me with something to imbibe. Your party reminds me that my blog is turning 10 next week! Happy 15th Birthday to your blog, Vidya! I love this space. Your writings contain so much positivity and wisdom. They always inspire me. And it is always a pleasure to read and learn from the veterans of the blogging world and see them continue to grow. I’m so happy to have met you in this vast space of blogging world, Vidya! Here’s to many more of writing and blogging! Happy 15, Vidya! I so appreciate all the goodness you bring to this world through your blog. Looking forward to another 15 years of your insights and inspiration. Congratulations on your blog turning 15, Vidya! What an amazing achievement! I love your entire blog, and all the posts I have read but your posts of Mi have a special place in my heart. Thanks for sharing my tweet. Congratulations Vidya! Even though I have read your blog for a relatively short time, I just LOVE the positivity that your blog brings to my day. Love and hugs! 15 years of blogging is awesome! Congratulations on 15 years of successful blogging, Vidya! 🙂 Your posts are always uplifting and educational. May you enjoy many more years in the Blogosphere. Cheers! Smiles and Miles to go before you sleep Vidya. !5 years of blogging is an awesome feat and you serve as an inspiration to every single blogger out there. That reminds me, yes I need to still pick your favourite post. LEt me browse through..
Ramya Abhinand recently posted…There is a Sick Mom in the Home! Shilpa Gupte recently posted…Colour your way to tranquility. Happy 15th blogoversary, Vidya! Hearty congratulations. Congrats Vidya that is huge!